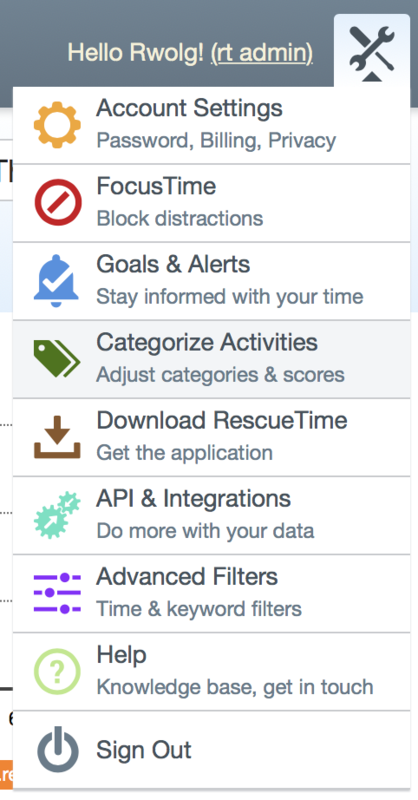 You can manage your activity categories by selecting Categorize Activities from the Tools menu. 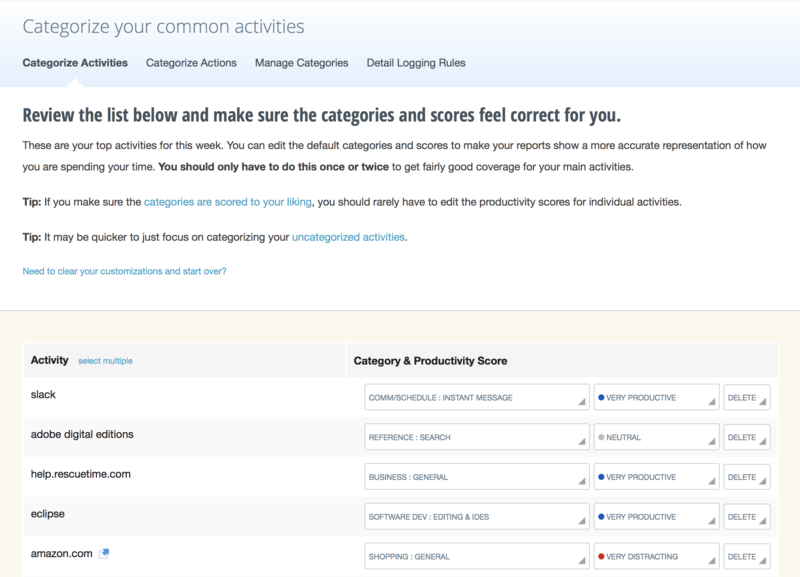 From the "Categorize Activities" page, you can change the category of an activity or its productivity ranking by clicking on the triangle on the bottom-right of the appropriate box. There are links in blue that will take you to a list of your uncategorized activities and to reset your custom categorizations to the default. 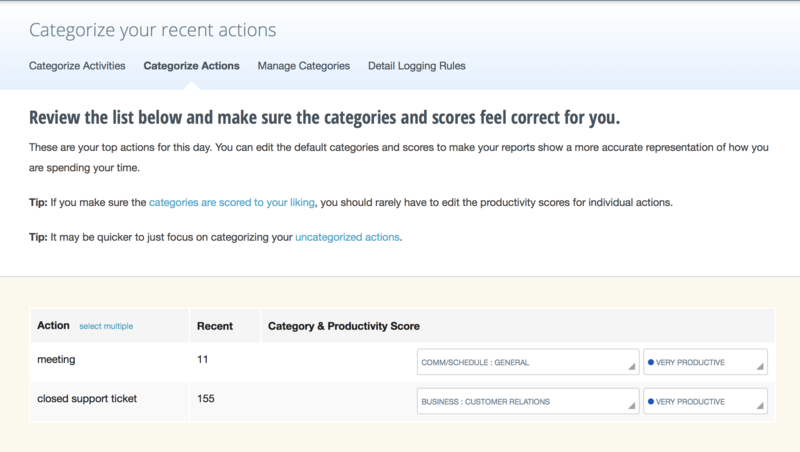 Any actions you have set up with our integration partners that are logging highlights will show on the "Categorize Actions" tab. 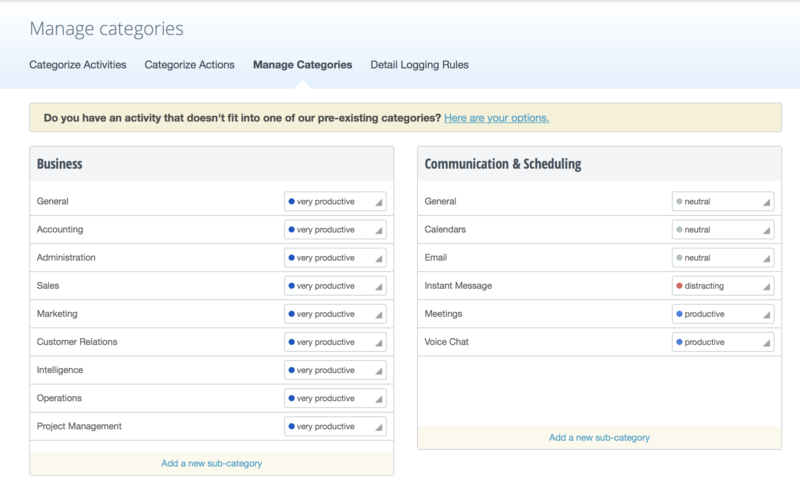 The "Manage Categories" tab opens the page where you can view the categories themselves. You can change the productivity level of a category using the editing box to the right of the category name. If you would like a new category to assign to your activities, you can use the "Add a new sub-category" link within any of the existing categories. Default categories cannot be changed. If you have an activity whose details are not currently being captured, they will appear in the Detail Logging Rules tab. 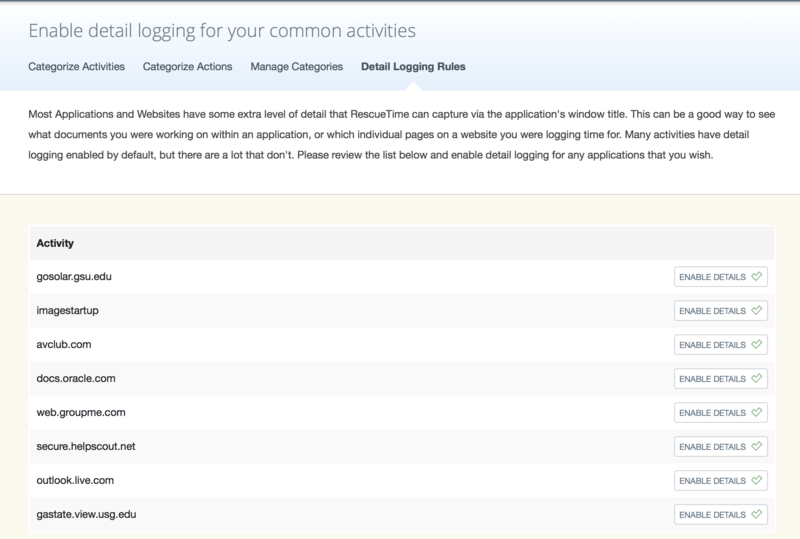 Here you can enable detail logging for these activities.